These programs were created in memory of Taylor Anderson, a Randolph-Macon College alumna (Class of 2008) who lost her life in the 3.11.11 Great East Japan Earthquake and tsunami. The TOMODACHI Taylor Anderson Memorial Fund brings together students and faculty from Anderson’s alma mater with students and faculty from Ishinomaki Senshu University. ISU is located in Ishinomaki, Miyagi prefecture where Anderson served as a JET (The Japan Exchange and Teaching Programme）for three years from 2008-2011. Also known as the Randolph-Macon College/Ishinomaki Senshu University Exchange Program, this program took a group of Randolph-Macon College students, faculty, and staff members traveled to Tokyo, Kyoto, Hiroshima, and Ishinomaki, Japan in the first two weeks of July 2016. 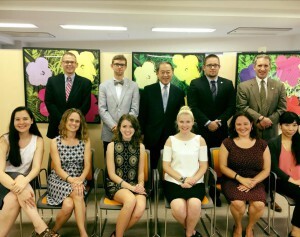 This exchange program selected four students and their faculty advisors from Randolph Macon College in Virginia and four students and their faculty advisors from Ishinomaki Senshu University to explore research questions of mutual concern at and on both campuses, through an in-country field work visit and exchange activities. 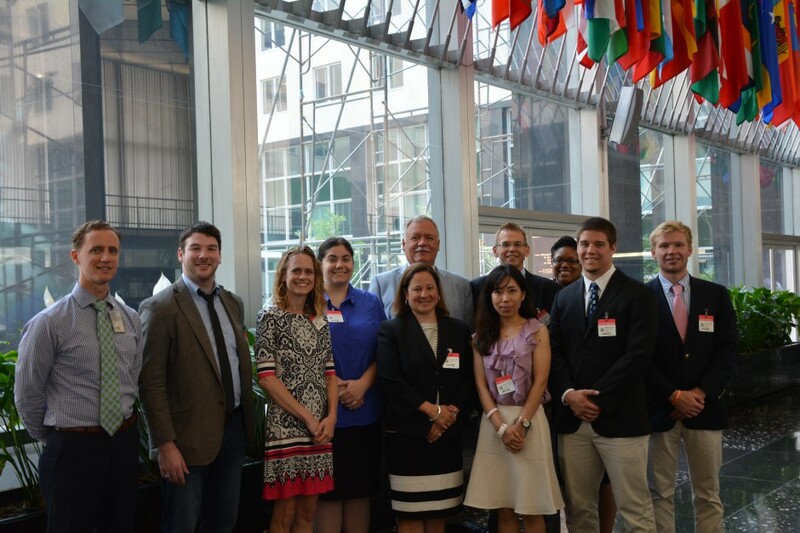 The U.S. students were participants of the RMC’s prestigious Schapiro Undergraduate Research Fellowships (SURF) program – a 10 week long, independent research and faculty advised summer program. Japanese students from the disaster-affected area will have an opportunity to study with students from the SURF program. The participants will study about the 2011 Great Tohoku Earthquake and continuing recovery, connect via technology for discussions about their research, and travel to one another’s campuses for substantive in-person conversations and cultural exchanges. 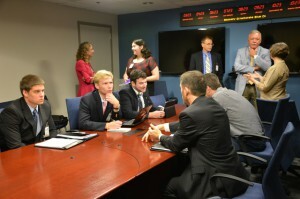 The four students in the United States kicked off the beginning of their summer research with a trip to Washington, D.C. June 9 – 10, which included a visit to the Office of Japan Affairs at the State Department, meetings at FEMA, and a visit to the National Building Museum. They traveled to Japan from July 18 to 31, conducting research in Ishinomaki in partnership with Ishinomaki Senshu University in the first half of the trip, then traveling to Tokyo. The Japanese students traveled to the United States from September 6 where they participated in research and exchange activities in and around Randolph Macon College. The research projects by the students from Randolph-Macon College will explore a number of topics including comparisons in risk management and infrastructure; public opinion and political discourse in recovery efforts; the psychological effects on children and their subsequent community involvement, and the role of music in disaster relief. Randolph-Macon College is the alma mater of Taylor Anderson, one of the two Americans who perished in the 2011 Great East Japan Earthquake. Taylor was a 2006 SURF participant at Randolph-Macon for which she studied, wrote and reported on the works of Japanese author Haruki Murakami. Following her graduation from Randolph-Macon, Taylor was a JET Programme Assistant Language Teacher in Ishinomaki from 2008 to 2011. Through teaching in Ishinomaki City with the JET Program, Taylor Anderson left a lasting impression on the students through her warm spirit and enthusiastic love of the Japanese people. She personified intercultural education by sharing her culture with students and enjoying the differences of living in Japanese culture. 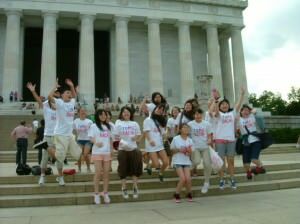 he YMCAs of Sendai, Tokyo, and Richmond, Virginia collaborated with the Taylor Anderson Memorial Fund to take seven of Taylor’s former junior high school students to the United States for a week-long cultural exchange experience from July 30 – August 5,2012. The students, ranging in age from 13 to 15, were from three of Taylor’s former junior high schools in Ishinomaki: Mangokuura Junior High School, Inai Junior High School, and Watanoha Junior High School. Accompanied by two trip leaders with the Tokyo YMCA and Taylor Anderson’ s father, Andy Anderson, the group began their trip in Washington, D.C., followed by the majority of their stay in Richmond, VA. In Washington, D.C., the students visited the many monuments on the National Mall; toured the Capitol Building; met with Deputy Assistant Secretary James Zumwalt on the Operation Tomodachi relief efforts following the Great East Japan Earthquake; visited the residence of Japanese Ambassador Ichiro Fujisaki; and relaxed with American high school peers over a pizza party picnic and visit to the famous Madame Tussaud’s Wax Museum. Initially hosting 7 Japanese students from Ishinomaki to the U.S. during its first year, the program hopes to build a strong relationship between the Tokyo, Sendai, and Richmond YMCAs, so that exchanges connecting Richmond and Ishinomaki youth can continue and spread the legacy of Taylor Anderson’s love of Japan. In Richmond, VA, the students experienced American family life and customs through a home-stay program; got a taste of an American summer youth camp at Camp Thunderbird; enjoyed the rides at a Busch Gardens amusement park; and visited the alma mater of their late teacher Taylor, St. Catherine’s School.